Military terms and symbols that are used by the U.S. Army have been compiled in an updated reference manual, along with acronyms and abbreviations. 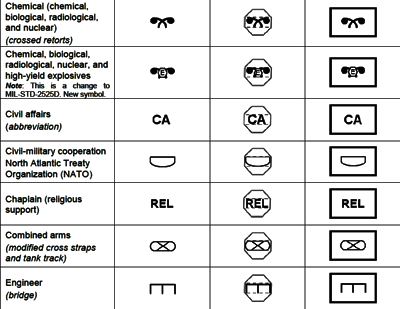 See ADRP 1-02, Terms and Military Symbols, December 2015. Intended to foster a common vocabulary, the manual can also help outsiders to interpret distinctive Army expressions and patterns of speech.